The Wild Rover is a Traditional Irish Folk song. This version is by The Dubliners and has been recorded by several Irish artists including the Clancy Brothers & Tommy Makem, Cruachan, Foster and Allen, The High Kings, The Irish Rovers, The Pogues and the Wolfe Tones. Such a cus-tom as yours I can get a-ny day"
The Dubliners originally joined as a band in 1962, where they played regular gigs at O'Donogue's Hotel in Dublin. During this time the band was known as The Ronnie Drew Ballad Group. The Dubliners performed at the Edinburgh Festival in 1963. From this exposure they were given the opportunity to perform on the BBC program, Hootenanny . From this program the band was offered a recording contract with Transatlantic Records. Their first album was titled The Dubliners and their first 2 singles, Rocky Road to Dublin and The Wild Rover were recorded with this record label. The band had an interesting mix of influences; Ronnie Drew on Flamenco guitar; Barney McKenna - tenor banjo and mandolin; Ciaran Bourke - guitar, tin whistle, harmonica and vocals; John Sheahan - fiddle, tin whistle, mandolin and vocals, and Luke Kelly - singer and banjo player. Drew left the band in the mid-seventies and was replaced by Paddy Reilly. Some of the hits during his days in the band included, McAlpine's Fusiliers , Seven Drunken Nights and Finnegan's Wake. Barney McKenna sang many songs in Irish, while Ciaran Bourke sang many love songs during the stage shows, and Luke Kelly was another of the featured singers who sang many traditional songs such as Whisky in the Jar. The Dubliners had many different line-ups over the years. Their popularity was not limited to Ireland. They had fans world-wide, especially in the U.S.A., England and Europe. They had records in the top 20 and pre 1969, sang a number of Irish Rebel songs. 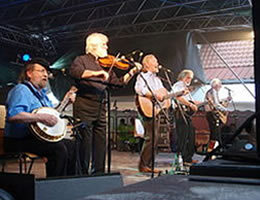 The Dubliners produced about 32 albums between 1964 and 2009 and had about 14 hit singles during this time. Some of their more famous songs included, The Rose , Dirty Old Town , The Irish Rover and Free the People . THE DUBLINERS chords and lyrics are property and copyright of their owners. "The Wild Rover" chords and lyrics are provided for educational purposes and personal use only.